Our Mikron customers have been driving us for some time to create a TIGHT machine. 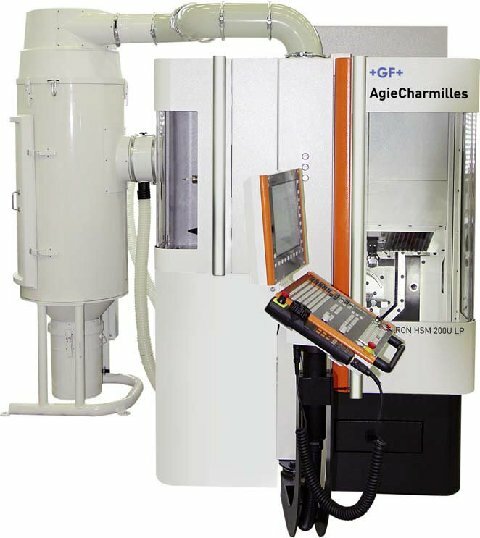 Tight for floor space, Tight for accuracy 1um, 5 axis with chip management, good for steel, graphite and ceramicapplications. All linear, compact and a real work horse with a spectacular low price. Any interest please give us a call. The acquisition of Microlution is in line with GF Machining Solutions’ strategy to enlarge its technology portfolio to fully meet the needs of manufacturers in targeted industry segments, including aerospace and medical. Microlution and GF Machining Solutions have mutually agreed to keep the sales conditions confidenti﻿ality. When it comes to high precision micro turning applications, Medical Micro Machining in Colfax, Wash., relies on Microlution MR-4 micro lathes. Like other Microlution micro machining platforms, the MR-4 is optimized for high precision applications with an extremely stable, compact design and enhanced flexibility for prototyping, R&D, and small batch production runs. The MR-4 features modular, gang-style tooling, live tooling, four axes of motion, automated tool sensing, and Microlution’s signature high-speed motion platform which provides unmatched stability. The MIKRON HSM 200(U) LP range leads precision machining into a new era. Sophisticated cooling management for heat discharge of the electrical drive groups. All linear axes and the circular-swivel unit feature a separate cooling circuit. Thermal precision Micro machining made easy The workpiece and tool measuring systems are especially suited for micro machining.